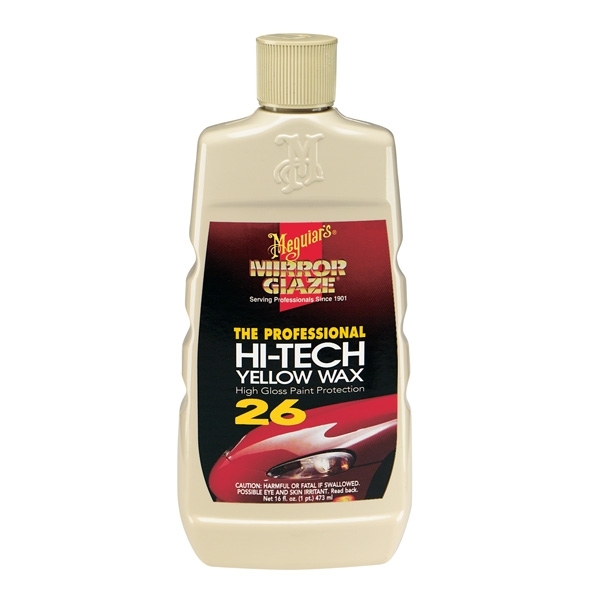 Meguiar's Hi-Tech Yellow Wax is a premium yellow Carnauba wax blended with silicones, polymers and other waxes. Adds richness and depth of color. Provides ultimate high gloss protection to any previously cleaned and polished paint finish. Available in liquid or paste.